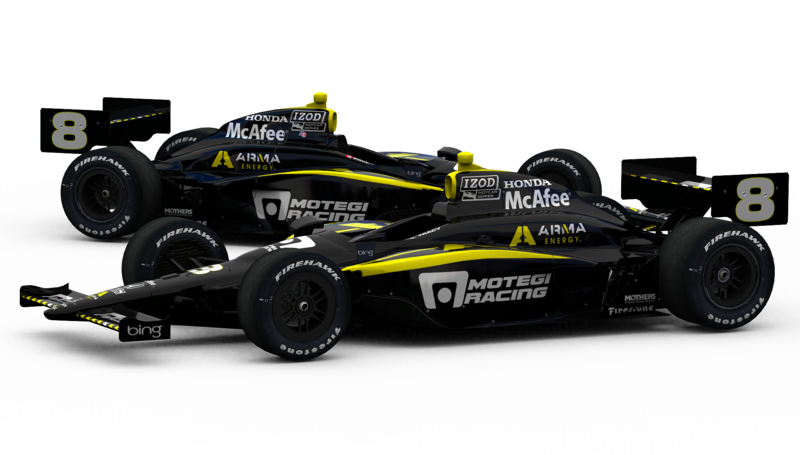 Peters Motorsports is honored to have champion driver Paul Tracy driving the Motegi Racing Wheels / ARMA Energy Dallara at Vegas for the INDYCAR World Championships! After nearly a decade of racing, the Dallara IR-03/05 chassis will be retired at the end of this weekends INDYCAR finale in Las Vegas. 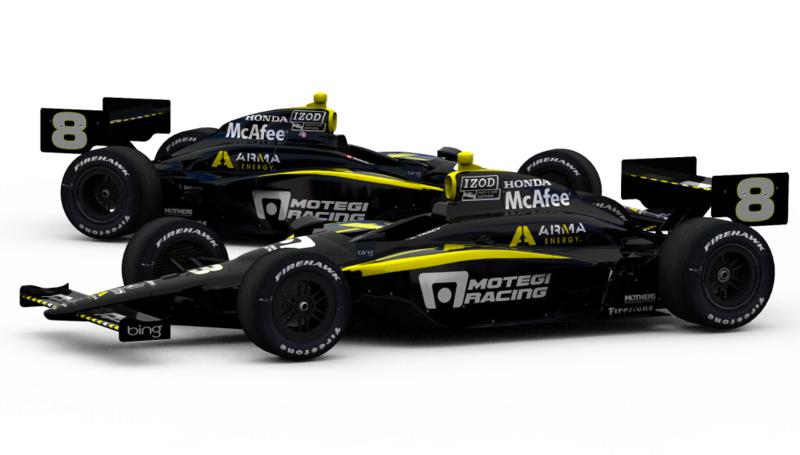 I’ve had the honor of designing many awesome looking cars for the Dallara, but the Motegi/ARMA car is right up there with my favorites. Can’t wait to see it on track! A special thanks to all of the great teams, drivers, and league personel I’ve worked with these past 6 years, but a few I’d like to single out. John Cummiskey (Dragon Racing – Team Manager) – a dear friend who has given me so much freedom in designing the cars. We got to be pretty good at designing/painting this one, eh JC? Jay Penske (Dragon Racing – Team Owner) – Jay is a wealth of excitement when it comes time to put together an awesome looking race car. I know it’s going to be an exciting call anytime he calls with a cool new idea. Thanks for being a friend, Jay, and for continuing to give me the wonderful opportunity to continue living my INDYCAR dream! Lee Szczypski (Performance Data Solutions) – There is no doubt, I wouldn’t be where I am today without Lee seeing something in me, and giving me a huge shot back in 2006 to put some designs together. Thankfully, one of them was a hit and because of Lee’s encouragement and faith in me to get the job done I got my start. I can’t wait for the future! I’m ready for 2012 to get here so I can show you all what’s to come! Check back the rest of this fall. 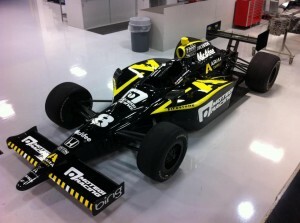 There will be TONS of “fantasy” liveries for the new 2012 Dallara to keep you thinking racing through the winter!